It may surprise some football fans to learn that the game existed before 1992. Sky Sports have spent billions of pounds since then trying to airbrush history and convince us otherwise. Leeds fans on the other hand know very well that football existed before the Premier League turned the game into a vehicle through which to exploit, extract and exhibit unsavoury wealth, because that was the last time we won anything. Football was a very different game in 1992. Footballers themselves were not far removed from you and me, at least in terms of living on the same planet, and phrases like “image rights”, “pre-contract agreement” and “loyalty bonus” were reserved for the Hollywood stars that footballers would effectively soon become. Furthermore, the fact that Leeds United’s 1992 title-winning team trained every day on pitches behind the West Stand car park meant that Elland Road was their home, the place where unbreakable bonds were formed, and their playground; the surrounding area was a big part of their lives and the football club and its everyday comings and goings was, by its very nature, an integral part of the local community. A natural by-product of having such a strong and identifiable entity on your doorstep was that places like United Fisheries (now Graveleys) and the café next to it, were routinely frequented by first team players and staff, and needless to say, the Old Peacock was no stranger to the Leeds United squad either. 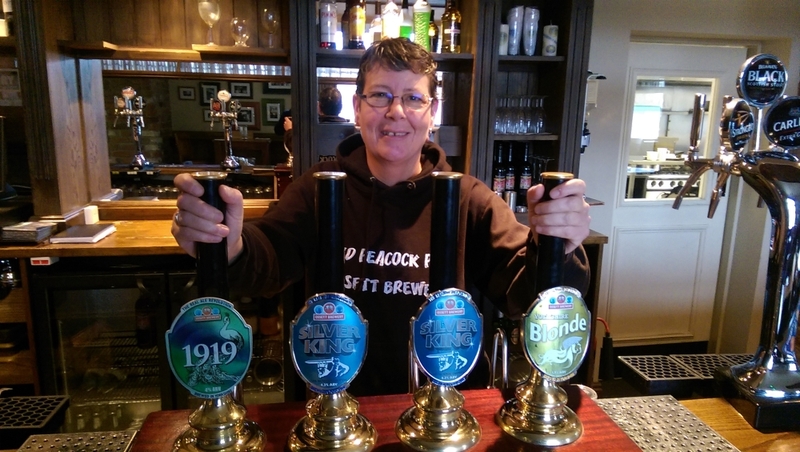 Dawn Oates started working at the Peacock in 1986, aged 18, and is still pulling pints for the swarms of Leeds fans passing through the pub today. But the Elland Road landscape is very different in 2015, and rather than routinely mingling with the rank and file fan, a supporter would do a double take today if they spotted a Leeds United squad member strolling around LS11, a Chris Wood penalty miss away from the cotton wool protection of the Thorp Arch bubble. 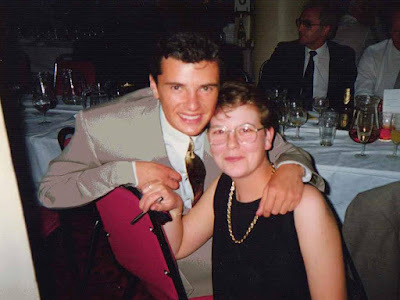 For Dawn and the Old Peacock in the mid-1980s, however, visiting Leeds United first team players were as regular as draymen. Professional footballers have always been larger than life figures of course, but before the Premier League elevated them to an untouchable status, they were still at ease with the working class roots of the game, and their match day routine wasn’t far removed from the basic trappings of a traditional spit and sawdust Sunday League team. At this point you wonder whether unsung heroes like Dawn have perhaps been a significant but unrecognised influence on Leeds United’s modern history. Some compassion, a homely reception and the lending of an ear on a lonely afternoon maybe resurrected Gary Kelly’s career and turned a timid and undistinguished trainee about to return to Ireland into a veteran of over 500 first team appearances and two World Cups. In some ways it is comforting to know the players of the 1992 title-winning era treated Elland Road and its surrounding area as their home, but at the same time it perhaps explains why the players today might feel detached from it and ill at ease. Back in the early-1990s, it appears the players were drawn to Elland Road even when they didn’t need to be there. In 1996 a major part of Howard Wilkinson’s 10-year plan drawn up when he became manager in 1988 came to fruition, when he moved the club’s training ground to Thorp Arch near Wetherby and built the academy structure that has furnished Leeds United’s first team with a steady supply of quality players ever since, albeit the club has not always utilised such resources to their fullest. Back at Elland Road, a somewhat bleak and blustery landscape developed, some of the life and the recognisable, everyday face of Leeds United had gone from the area and certainly some of the soul of the football club was taken away. While office, ticketing and retail staff still frequent the area, it was no longer a place to go star-spotting and for the players to call home. In a world rife with fear, suspicion and mis-trust, much of which, let’s be honest, is well-founded, it is sad that professional footballers are now so detached, in most cases at least, from the regular fan base. And while the Old Peacock is still a home from home for thousands of Leeds United fans, and always will be, it no longer reverberates to the laughter of Leeds United players and their post-training or post-match recreation, like it did in the early 1990s and like it did right back to the birth of the club in 1919 and Leeds City before it. Life moves on of course, and we move with it, but while it does, let’s cherish the memories of a fantastic past within the walls of the Old Peacock, and raise a pint to them. Don’t forget to follow us on Twitter and keep up-to-date with events on our Facebook page also.